With so many features to choose from, it can be easy to lose sight of which ones are most important for you to consider when looking at purchasing or upgrading your two way radios. 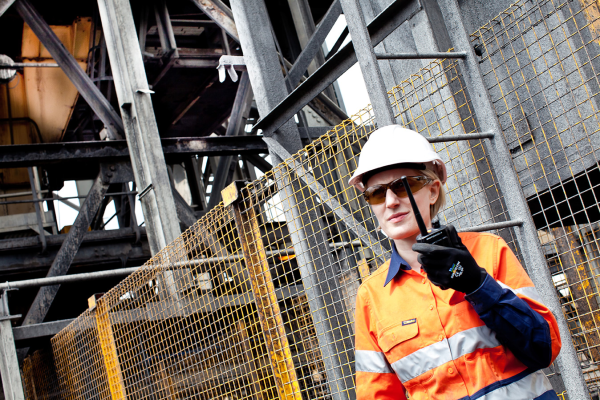 To ensure you get the most out of your portable two way radio selection, our Motorola experts have rounded up the primary types of criteria you should look at when making a selection. A number of radios have both technologies, an ideal solution for organizations looking to transition from analog to digital while ensuring future-readiness. A variety of solutions are available to ensure that your two way radios get the most out of their battery life. NiMH (nickel–metal hydride) batteries were the most common rechargeable battery for radios; however, they are increasingly being replaced by Li-ion (lithium-ion) batteries. Li-ion batteries have one of the best energy densities, limited memory effects, and can be stored for extended periods. Batteries are a critical factor in radio user satisfaction, and more portable radios are turning to IMPRES: a state-of-the-art smart battery technology. IMPRES batteries lengthen battery life and extend talk time, so you can be assured your radio battery is ready when you are. Intrinsically safe ratings (see #4 below). Also, be sure to consider the warranty associated with your portable two way radio – a must when durability is a key concern. This approval is critical for the oil, gas, & mining industries, as well as some manufacturing facilities. To learn our recommended models for all price ranges and requirements, download the FREE Portable Two Way Radio Guide below. Or, talk to a Motorola specialist today to learn which device from Nova Communication’s comprehensive portfolio can meet your needs by calling 1.877.721.7070.